About 2250 meters above sea level and 63 km from Shimla, lies a sleepy little hill town called Chail. A perfect heaven for hikers and photographers, it’s among the best weekend getaways from Delhi. From hiking through the pine and deodar forests to trying out the delicious cuisines, there are many things to do in Chail for explorers. Here’s a little list of things to do in Chail that’ll surely let you spend a wonderful weekend in the mountains. 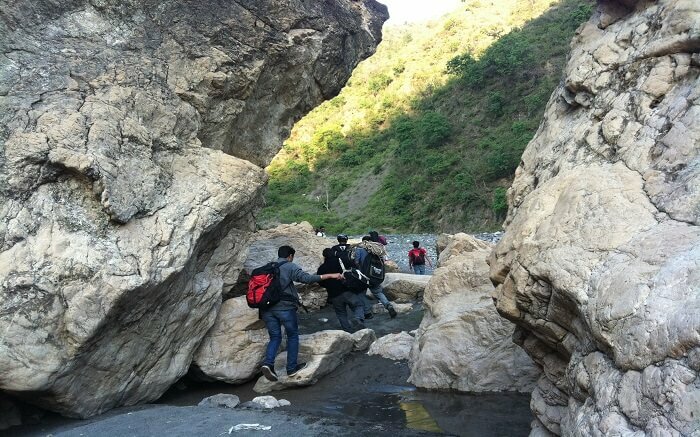 One of the most exciting and fun things to do in Chail is definitely camping. 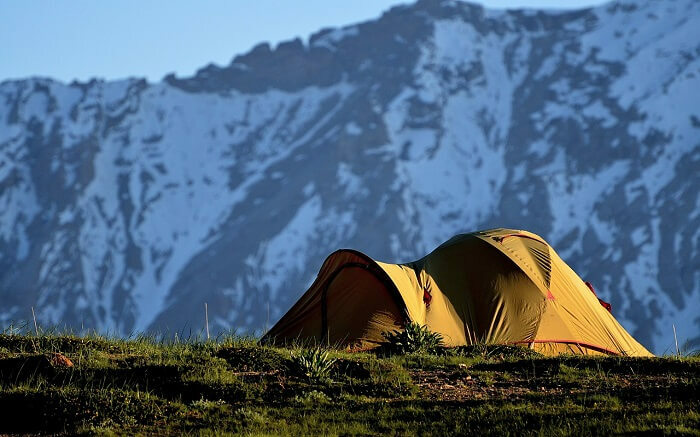 During summertime, you can pitch your own camp or hire one amid the pine and deodar forests. You can cook your own meals over a campfire and indulge in stargazing. It’s time to give those tired muscles a push and enjoy the adrenaline rush. Chail may not be among the places spots to try rock climbing, but it’s worth a shot. Have you got your own rock climbing gears? no? worry not, you can get your gears on rent or book an adventure tour through local operators at a minimal cost. Are you an adventure freak? 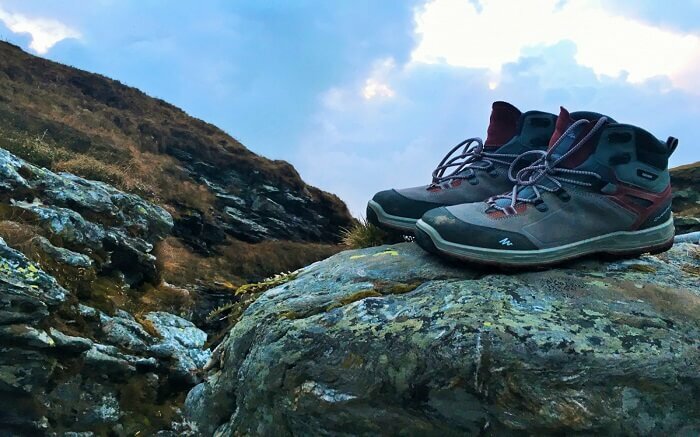 If so, you’re going to love trekking through the rocky trails of Gaura and Jhajja. 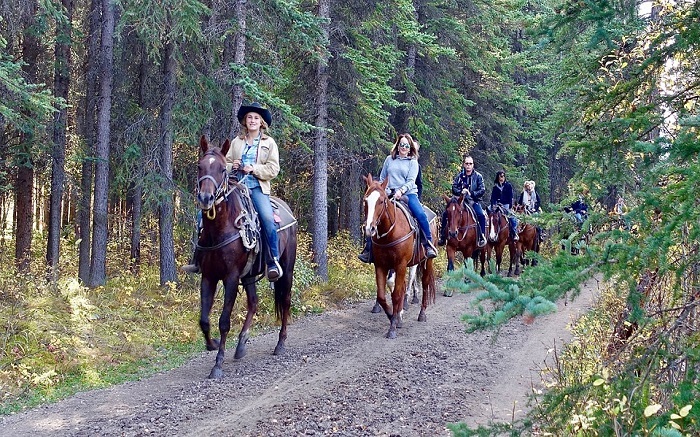 Walk under the shadows of tall pine trees while enjoying the cool and calm air of mountains. There are some great viewpoints where you can sit and enjoy the raw beauty of nature. If you’re looking for some relaxed activities while exploring the wilderness, then a nature walk through Chail Wildlife Sanctuary is something you would love to do. 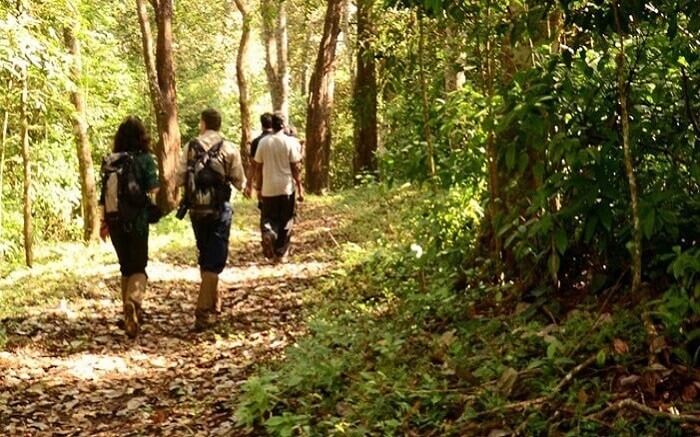 Spot sambar, goral, barking deer etc on your walk through the jungle. 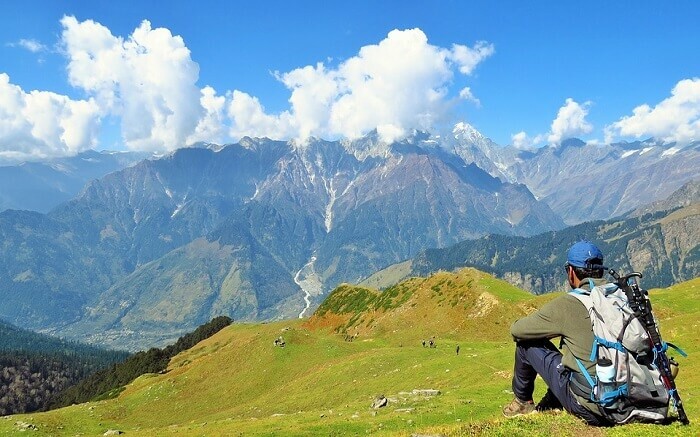 Just 30 km from Chail, Kufri is one of the best places to visit in Himachal. You can take a local bus or a shared taxi to reach Kufri and enjoy a thrilling horse ride up there. They take your through the beautiful and sweet smelling apple orchards and lush valleys. Run by HPTDC, the café at Chail Palace serves sumptuous local and international food. Enjoying chicken anardana, mutton curry, cutlets and noodles in open lawn, amidst lush green mountains is surely one of the most entrancing things to do in Chail. 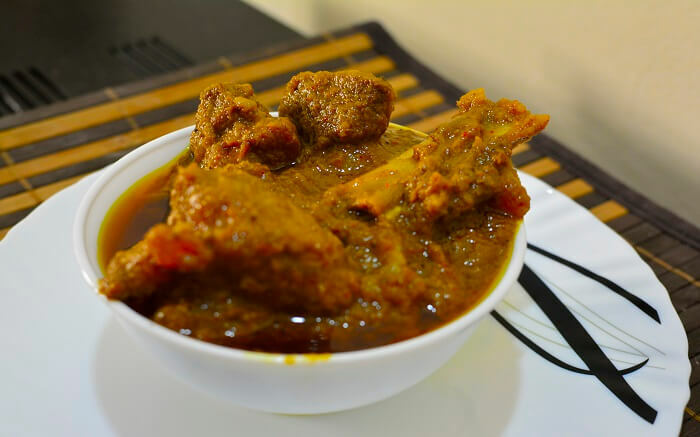 One of the best places to eat in Chail, Tarika-e Jarokha serves some of the most delectable non-veg dishes. The warm ambience and gracious service make this Indo-Asian restaurant a perfect little heaven for food lovers. You must try the chicken kebabs and kulfi while enjoying a spectacular view of Solan and Shimla hills. 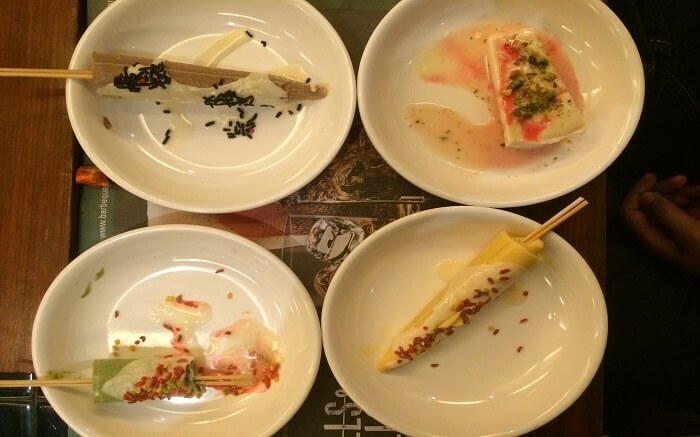 Are you craving for something sweet and unique? Try the uniquest and mouth-watering jaggery filled parathas. 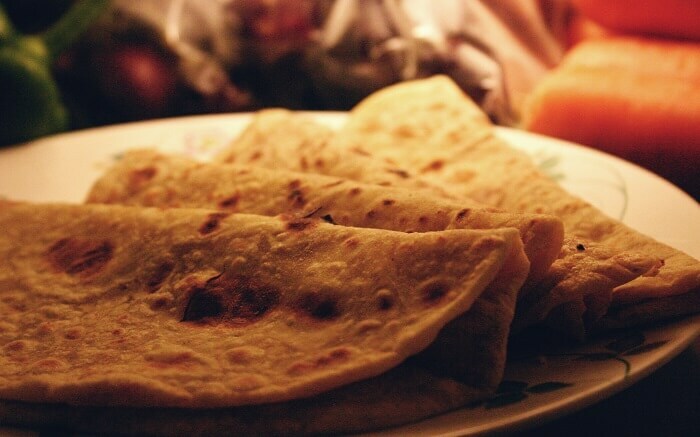 It’s a jaggery stuffed flat bread served hot, mostly during winter months as it helps keep your body warm. You also get rajma rice, aloo matar subzi, delicious raita, and many kinds of parathas here. Want to book a weekend getaway package from Delhi? Pack your bags and get ready for your journey of adventures.